Ok. So Prime Minister Modi’s ambitious Sovereign Gold Bonds scheme ended yesterday. You will ask me than why am I discussing it today. Well because many of you wanted me to take up the topic and I thought that you will anyways understand about the scheme and take benefit of it in the time to come. So without wasting much of your weekend fuel, I will come straight to the topic and blabber out all you wanted to know about the Sovereign Gold Bonds. 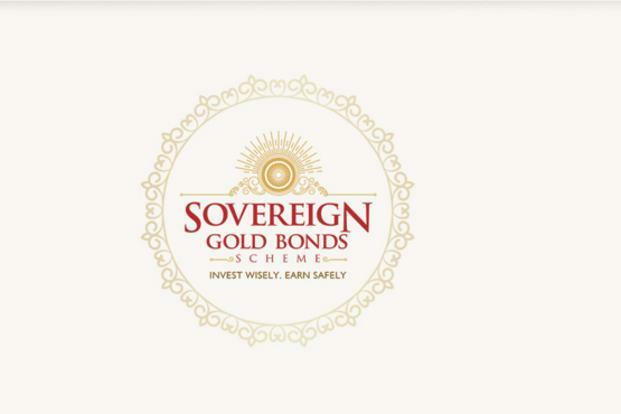 So, what is the Sovereign Gold Bond? In a bid to bring down the import of gold and to give an alternative to buy physical gold, Government of India had announced the Sovereign Gold Bond scheme. The first tranche of the gold bond scheme was on till yesterday and subsequent tranches would be notified later. The borrowing through gold bonds will form a part of the market borrowing program of the government. The bonds will be issued by the Reserve Bank. The gold bond scheme was announced to give consumers an alternative where they can buy bonds in place of in place of physical gold. The minimum bond size was worth 2 grams of gold, and the maximum was 500 grams. The Sovereign Gold Bonds were open for public subscription from November 5 to 20th and the subscription period ended yesterday. The bonds will be issued on November 26, 2015. The Sovereign Gold Bonds were offered at an interest rate of 2.75%. The interest will be payable semi-annually on the initial value of investment. There would also be a commission of 1% on the subscription amount for distribution of bonds. The bonds were sold through banks and designated post offices as notified by the Finance Ministry. The tenor of the bond will be for a period of eight years with exit option from 5th year can be exercised on the interest payment dates. The price of the bond will be fixed in rupees, on the basis of the previous week’s (Monday – Friday) simple average of closing price of gold of 999 purity published by the India Bullion and Jewellers Association Ltd. The same procedure would be followed for calculating the redemption price for the bonds. The interest earned on gold bonds would be taxable, and capital gains tax shall be levied as in case of physical gold. The bonds can be used as collateral for loans and the loan-to-value ratio will be set equal to ordinary gold loan mandated by the Reserve Bank from time to time. The bonds will be tradable on exchanges and will be eligible for Statutory Liquidity Ratio. The bonds will be restricted for sale to resident Indian entities including individuals, HUFs, trusts, universities and charitable institutions. The Sovereign Gold Bonds will be available both in demat and paper form. The tenor of the bond is for a minimum of 8 years with option to exit in 5th, 6th and 7th years. They will carry sovereign guarantee both on the capital invested and the interest. Bonds can be used as collateral for loans. Bonds would be allowed to be traded on exchanges to allow early exits for investors who may so desire. Further, bonds would be allowed to be traded on exchanges to allow early exits for investors who may so desire. In Sovereign Gold Bonds, capital gains tax treatment will be the same as for physical gold for an ‘individual’ investor. The department of revenue has said that they will consider indexation benefit if bond is transferred before maturity and complete capital gains tax exemption at the time of redemption. Why should I buy SGB rather than physical gold? What are the benefits? The quantity of gold for which the investor pays is protected, since he receives the ongoing market price at the time of redemption/ premature redemption. The SGB offers a superior alternative to holding gold in physical form. The risks and costs of storage are eliminated. Investors are assured of the market value of gold at the time of maturity and periodical interest. SGB is free from issues like making charges and purity in the case of gold in jewellery form. The bonds are held in the books of the RBI or in demat form eliminating risk of loss of scrip etc. Are there any risks in investing in SGBs? There may be a risk of capital loss if the market price of gold declines. However, the investor does not lose in terms of the units of gold which he has paid for. Can a Minor invest in SGB? Yes. The application on behalf of the minor has to be made by his / her guardian. So it’s a good investment for higher education of your children. Can I buy 500 grams worth of SGB every year? Yes. One can buy 500 grams worth of gold every year as the ceiling has been fixed on a fiscal year (April-March) basis. Is the limit of 500 grams of gold applicable if I buy on the Exchanges? The limit of 500 grams per financial year is applicable even if the bond is bought on the exchanges. Can I encash the bond anytime I want? Is premature redemption allowed? Though the tenor of the bond is 8 years, early encashment/redemption of the bond is allowed after fifth year from the date of issue on coupon payment dates. The bond will be tradable on Exchanges, if held in demat form. It can also be transferred to any other eligible investor. What do I have to do if I want to exit my investment? In case of premature redemption, investors can approach the concerned bank/Post Office/agent thirty days before the coupon payment date. Request for premature redemption can only be entertained if the investor approaches the concerned bank/post office at least one day before the coupon payment date. The proceeds will be credited to the customer’s bank account provided at the time of applying for the bond. Can I get part repayment of these bonds at the time of exercising put option? Yes, part holdings can be redeemed in multiples of one gm. So friends, I believe it’s a better idea to invest in gold bonds than the real gold itself (but ask your better half too if they agree to it. Keeping them happy is a more important thing. ) So if you have missed out this time, better luck next time. Till than keep reading TradeTalk and we will notify you when early next time. Have a nice weekend and happy investing.